يقع View Pacific Apartments في سارفرس باراديس, جولد كوست, هو خيار شائع بين المسافرين. لا يبعد الفندق كثيراً عن مركز المدينة، فهو يقع على بعد 0.5 km منها. في حين يستغرق الطريق منها إلى المطار حوالي 45 دقيقة. إن سهولة الوصول من الفندق إلى المعالم السياحية الشهيرة الكثيرة في المدينة كمثل Infinity, Slingshot Gold Coast, Racecentre هو استثنائي بحد ذاته. استمتع بالخدمات الراقية والضيافة التي لا مثيل لها بهذا الفندق في جولد كوست. يقدم الفندق فرصة للاستمتاع بشريحة واسعة من الخدمات بما فيها: مرافق مخصصة لذوي الاحتياجات الخاصة, تسجيل وصول/خروج سريع, تخزين الأمتعة, واي فاي في المناطق العامة, صف السيارات . بالإضافة لهذا,تتضمن كل غرف الضيوف مجموعة واسعة من وسائل الراحة . بعض الغرف توفر حتى تلفزيون بشاشة مسطحة, اتصال لاسلكي بالإنترنت, غرف لغير المدخنين, مكيف هواء, مكتب لإرضاء أكثر الضيوف تطلباً. يمكنك طلب اللائحة الكاملة للخدمات في الفندق ومن بينها مسار جولف - ضمن 3 كم, حمام سباحة خارجي, ملعب للأطفال, حديقة. يشكل View Pacific Apartments بخدماته الراقية وموقعه الممتاز، قاعدة مثالية للاستمتاع بإقامتك في جولد كوست. The penthouse view (41F) was amazing. One thing to know it’s about 300m away from reception as this particular building is separate. There is only Staff who manages the facility (I dealt with) and he was okay but you need to ask him as much questions as possible as he will not really say much. The apartment needs a massive clean up and renovation on flooring. The carpet in the living areas are very dirty! The throw pillows are not cleaned at all. I found bed bugs (white) crawling on throw pillows on our last night so there was not much point complaining. The sliding door locks are not safe enough for children as they can easily open it and parents MUST watch their Children. I visited my in-laws apartment on the same time located at Mainbeach and I found their sliding doors secured with secret locks, very neat and cleaned and it was almost the same price.. In comparison with our apartment and the $$$we paid for I think we deserved to have or the owner of this apartment should consider to buy a coffee machine and upgrade some appliances. Overall, the view was fantastic day and night but carpet needs a serious clean as the unit to be honest, smells. Clean and nice apartment, good location. just walking distance to the beach and restaurants. Facilities nothing to complain. The only thing is the toilet paper is not refillable, once those provide use up you will need to buy at your own. Will stay again if back to gold coast. Overall we are satisfied with the stay & facilities provided. The only thing we were unpleasant and would like to suggest is the property need to change a new and comfortable blanket for guest. All were ok but Microwave was not functioning well, even when replaced the same problem, tough time in cooking etc. The location is very good for people who are driving as the street is not that busy, yet it's very near to the central and Coles supermarket. 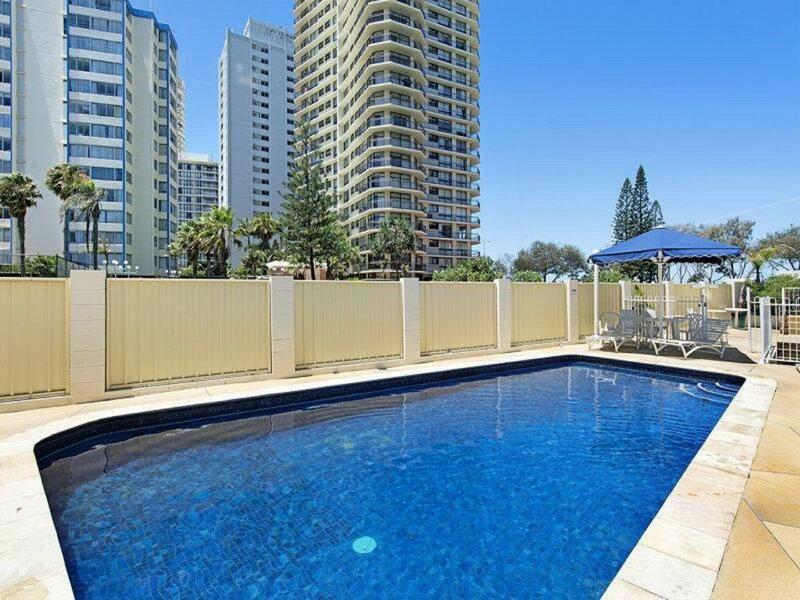 It's 5min walking distance to the beach and beach swimming point. There's a 24hour shop just opposite the road. The hot water in the kitchen is really hot! (can be dangerous for kids tho) The room is quite spacious for six pax (2 rooms), We managed to squeeze into one room with 2 double bed and 1 single bed all combined together.. good for smaller kids who like to sleep together.. The manager/owner is Chinese, but is helpful if you have any questions of requests. Though please don't expect him to greet you or have long conversations with you like local Australians. There was enough washing powder and dish washing liquid during our 4 days of stay. If you needed more, probably can try asking the manager on the front desk. If not, can always just buy opposite the road or at the Coles. the apartment was clean but need some refreshing!! It was awesome, we got ocean views apartment. 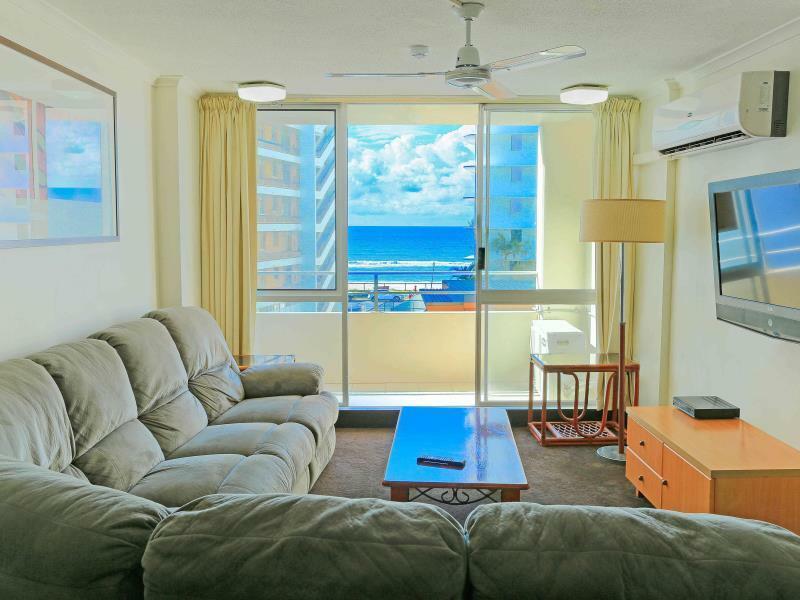 It's clean and very handy location to the beach and shops. Nothing great. Cheap for great location. The interior was good. I liked the space and they come with washer and dryer. Good to the beach market which only comes on 3 days in a week. Near beach. Free carpark. 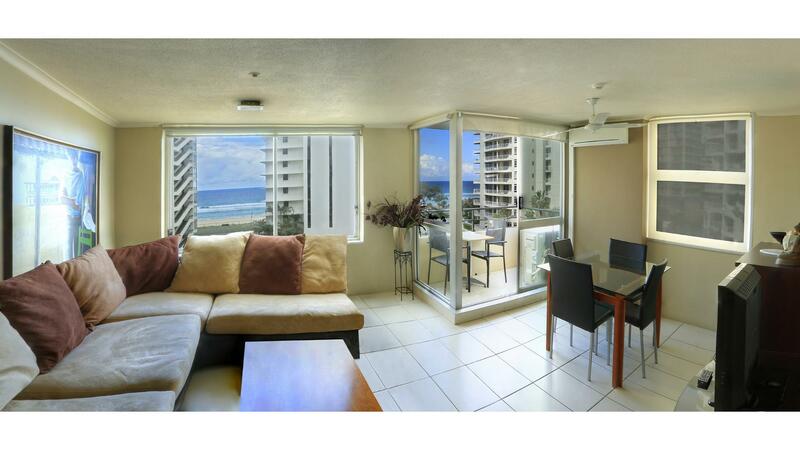 Near to heart of surfer paradise, just 5minutes walking distance. Very good and worth of money. Car park entrance a bit lousy, need to use key to open instead of access card. No air-conditioner in bedroom. We enjoyed our stay. The apartment was spacious and had everything you needed. It could have been a little cleaner. Everything was showing its age. very relaxing ,felt safe and secure and knowing we are close to what gold coast has to offer ,thanks . 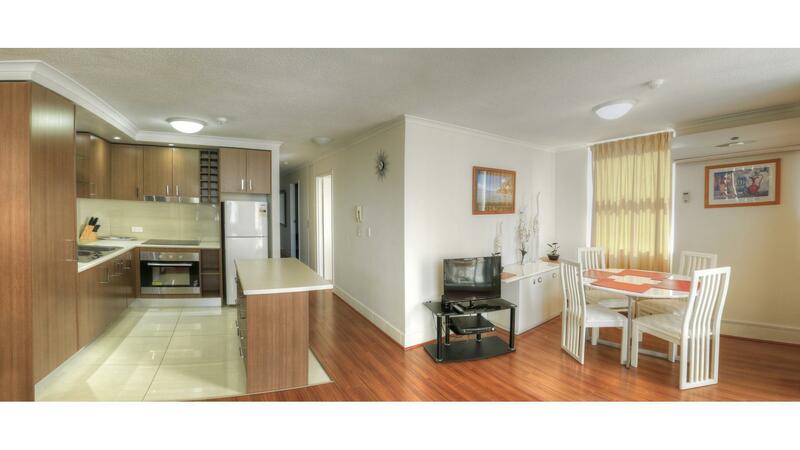 fully furnished apartment with kitchen equipment. Good location,easy access to all tourism places.